After a long period when the way to connect monitors was limited to VGA connectors and only more recently to DVI / HDMI connectors, in the past two years, the interface DisplayPort has surfaced the market, and tends to become the new standard for data transmission (video and audio) clearly the advantages being on its side. How do Display Port products get certified? DisplayPort – products bearing this logo have specific standard capabilities but have not been yet officially tested / certified. The DisplayPort certification products – like computers, laptops and monitors / TVs, that have this logo, have been tested for compatibility and thus attested their ability to deliver outstanding performances, high refresh rates and the biggest color depth available. 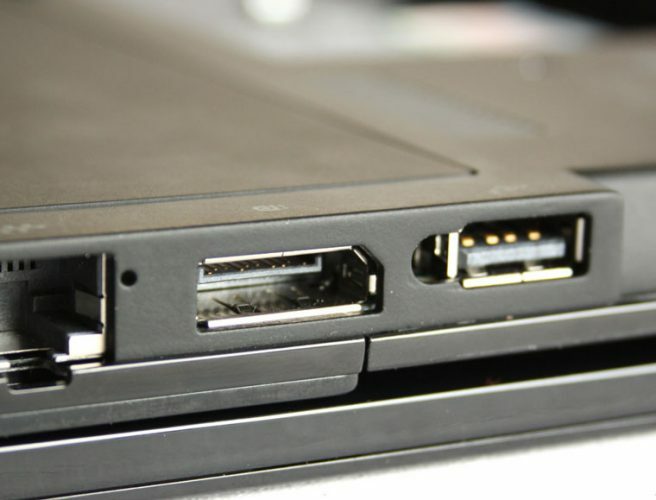 Multi-mode DisplayPort – in this case, those products are able to work with both DVI and DisplayPort technologies. Why Display Port or which are the differences compared to HDMI? The most obvious is the reduced physical space occupied by such a connector compared to the more bulky VGA or DVI connectors, but also the possibility of having on a single cable both video and audio HD , eliminating a separated cables audio / video configuration. DisplayPort has become a necessity imposed by the video cards and monitors manufacturers, once performance and resolution increased, the old connecting standards simply did not corresponded bandwidth related to the new improved resolution & performance. DisplayPort natively supports up to 10.8 Gbp/s (on classic cable) or even more on optic fiber. Unlike VGA, DVI or HDMI, DisplayPort cable may have a length of up to 15m, ant there’s no need of placing signal amplifiers. DisplayPort 1.0 supports a maximum data transfer rate of 8.64 Gbit / s for a cable length of 2m, version DP 1.1, bringing extra support for other connecting environments such as optic fiber and adds HDCP protection mode to native DPCP (DisplayPort Content Protection). DisplayPort version 1.2 doubles the transfer rate, reaching 17.28 Gbit / s.
DisplayPort 1.2a would have an optional VESA Adaptive Sync feature, the biggest fan of this standard being AMD who proposed VESA the standardization of the variable refresh rate from the DP interface. DisplayPort 1.3, this one – brings a total bandwidth of 32.4 Gbit / s by the new HBR3 mode, with 8.1 Gbit / s per each line. Bandwidth thus obtained, can support 8K video resolutions, or at 7680×4320 (16: 9, 33.18 MP) or 8192×4320 (~ 17: 9, 35.39 MP), two 4K streams or 4K 3D via a single cable. It implements VESA Display Stream Compression, a new algorithm for low latency, offering advanced resolutions and color depth, and low power consumption. DisplayPort is ideal not only for computer monitors, more and more widespread among users, the HTPC type systems, High Definition and 3D TVs, Blu-ray Disc readers … these are all supported and support the DisplayPort standard.